Size: 6.5 inches. 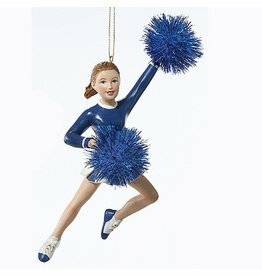 Christmas Ornaments and Decor by Kurt S. Adler featuring Sports Cheerleader and Cheerleading Themed Ornaments. Noble Gems™ Glass Ornament. Size: 3.5 inches. 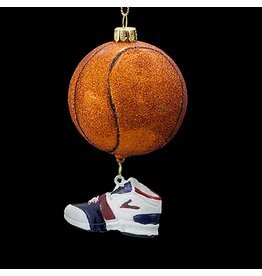 Christmas Ornaments and Decor Noble Gems™ by Kurt S. Adler featuring Blown Glass Sports Athletes Ornaments. Size: 3.75 inches. Resin Figet Spinner Tree Ornament. NON ROTATING FOR DISPLAY AND DECORATION ONLY . Toy, Games, and Fidget Spinner Themed Christmas Ornaments by Kurt S. Adler. Size: 4 inches. Christmas Ornaments Decorations Sports and Soccer Themed Holiday Decor by Kurt S. Adler. Size: 4 inches. 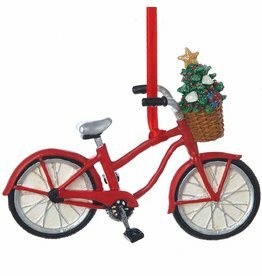 Christmas Ornaments Decorations and Bicycle and Bike Themed Holiday Decor by Kurt S. Adler. Size: 5 inches. Christmas Ornaments Decorations and Lacrosse Themed Holiday Decor by Kurt S. Adler. Size: 5 inches. Christmas Ornaments and Decor by Kurt S. Adler featuring Ice Skates and Ice Skating Themed Ornaments. Noble Gems™ Glass Ice Skate Ornament White with Fur . Size: 4.25 inches. Christmas Ornaments and Decor by Noble Gems™ from Kurt S. Adler featuring Blown Glass Ornaments, Shatterproof Ornaments, and ice Skating Themed Ornaments.